With all of the flavour & nutrients of your favourite energy bars with none of the wasteful packaging, high price tag, or harmful additives, these power bars are a no-brainer addition to take your snack game to the next level. Everyone knows that the best treats are the ones you can grab in the morning & take with you for a quick snack throughout your busy day. Stop spending crazy amounts of money on packaged snack bars & make your own at home! Perfect for overcoming that mid-day slump, or as a post-workout snack, these protein bars are loaded with carbs, protein, healthy fats & fibre! Everything your body needs to keep you going all day long. These bars are nut free, gluten free, vegan, and free of refined sugars, we tried to cover all of the bases to make these protein bars as diet-friendly as they are delicious. Take out that blender and get those dates soaking! Best kept in the fridge or frozen for later, with a single batch yielding 14 bars you’ll have snacks for you & your closest pals for days if not weeks. Sounds like a pretty sweet deal if you ask us! What else do you add to your protein bars? 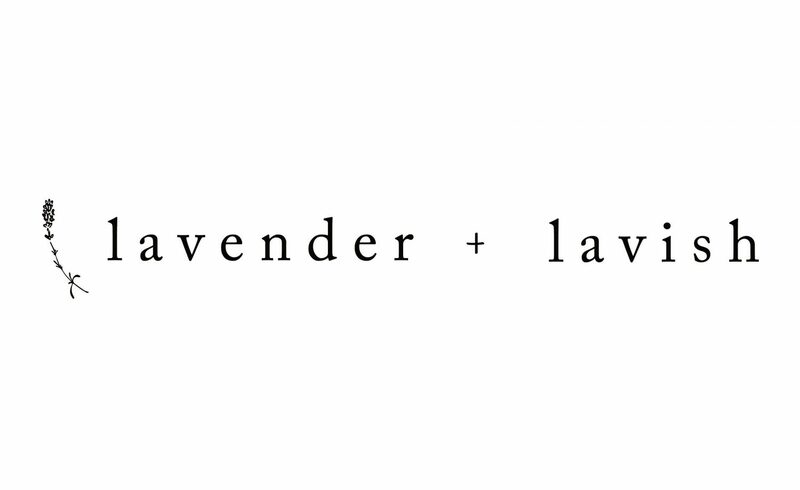 Let us know by tagging us in your photos on instagram @lavenderandlavish, we love to see your takes on our recipes! RECIPE: Makes 14 Power Bars. 10 minutes prep, 3-5 hours (or overnight) to refrigerate. Blend the oats and pumpkin seeds in a highspeed blender or food processor until they are a fine flour texture. Add in the soaked dates, sea salt, cocoa powder, raisins, shredded coconut, hemp seeds, vanilla extract, and the melted coconut oil to the blender and blend until everything lumps together into a uniform ball of raw “dough”. Mix in the remaining cacao nibs, chia seeds, and goji berries either by pulsing lightly or by kneading into the “dough” ball. Line a square cake pan or a bread pan with parchment paper and press the “dough” firmly into place ensuring that the top is smoothed out. The final pressed dough should be about 1/2 inch thick. Refrigerate this overnight or for at least 3-5 hours. They are best stored in a container with a lid to ensure that none of the moisture of the dates becomes dried out. Remove from the fridge and cut the firmed dough into 12-14 bars! Grab em whenever you need an extra boost of energy, either on your way out the door, as a quick breakfast option, or a killer post workout snack!